In the years since the initial disaster there have been disparities between the official radiation exposure estimates and the subsequent health problems in Japan. In some cases the estimates were based on faulty or limited early data. Where a better understanding of the exposure levels is known there still remained an anomaly in some of the health problems vs. the exposure dose. Rapid onset cancers also caused concern. The missing piece of the puzzle may be insoluble microparticles from the damaged reactors. These microscopic bits of fuel and other materials from the reactor meltdowns have been found around Japan since soon after the disaster. Citizens with hand held radiation meters first discovered them as highly radioactive fine black sands on roadsides and gutters. These substances eventually caught the attention of researchers who determined they are tiny fused particles of vaporized reactor fuel, meltdown byproducts, structural components of the reactors and sometimes concrete from the reactor containments. The Fukushima microparticles are similar to “fuel fleas” or “hot particles“. Hot particles or fuel fleas have been found at operating nuclear reactors that had damaged fuel assemblies. These fused particles found around Japan are different in that they are a byproduct of the reactor meltdowns. The small size of these microparticles, smaller than 114 μm makes them an inhalation risk. Other studies have also confirmed the size is small enough to inhale. These microparticles have been found near Fukushima Daiichi, in the evacuation zone, outside of the evacuation zone and as far away as Tokyo. The heat of the meltdown processes reached temperatures high enough to cause the nuclear fuel and other materials to break down into small particles. The uranium in the fuel further oxidized and then volatilized once temperatures reached 1900K. As these materials broke down into nanoparticle sized components of the fuel melt process, this set up the conditions for them to condense. As these materials cooled the fused microparticles were created. Newer studies call these microparticles “CsMPs” (Cesium bearing micro particles). A 2018 study of how these microparticles were created gives a plain language explanation of the process. The microparticles may have left the reactors through multiple processes including containment leaks, containment venting operations, hydrogen explosions and the later reduction and addition of water in an attempt to control the molten fuel. A new study found a useful way to quantify how much of the contamination in an area is due to microparticles (hot particles). By using autoradiography they were able to confirm the number of microparticles in a sample. Soil samples near Fukushima Daiichi ranged from 48–318 microparticles per gram. The microparticles had high concentrations of radioactive cesiums, in the range of ∼1011 Bq/g. The study stresses the health concern that these microparticles pose due to cellular damage from the highly concentrated radiation level. The authors also mention the risk re-suspension of microparticles in the air poses to the public. A separate study found strontium-90 in the Fukushima microparticles at a ratio similar to what has been found in contaminated soil samples. This study included the amount of hot particles (aka: microparticles) found in soil samples taken in the fallout zone in Fukushima north-west of the plant. They ranged from 0-18 microparticles per square meter of soil. This information confirms that strontium-90 is part of some of these fused microparticles. An ongoing research project and paper by Marco Kaltofen documents these hot particles further. In the 2017 paper they found more than 300 such hot particles from Fukushima Daiichi in Japanese samples. 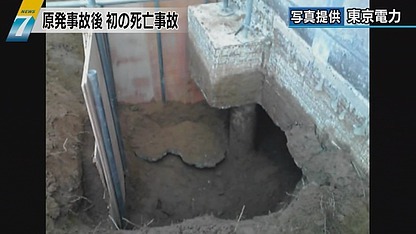 A hot particle was found in a vacuum cleaner bag from Nagoya, over 300 km from the disaster site. The study found americium 241 in two house dust samples from Tokyo and in one from Sendai, 100 km north of the disaster site. The sample set collected in 2016 showed a similar instance of highly radioactive hot particles compared to the 2011 samples. This appears to show that the threat from these reactor ejected hot particles has not gone away. A majority of the collected samples were from locations declared decontaminated by the national government. The above graph is from the 2017 Kaltofen paper. 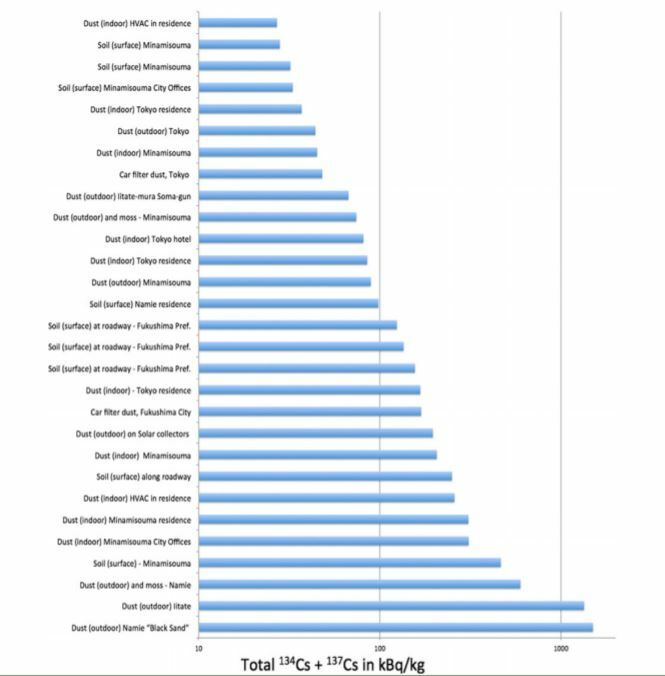 These represent the highest readings for cesium found in their microparticle samples. The highest in the graph is Namie black sand. These black sand substances found around Fukushima prefecture and as far south as Tokyo were discovered to be largely made up of ejected reactor materials based on multiple studies. The 2018 study we cited earlier in this report to explain the microparticle creation process also confirms some of these microparticles also contain radioactive isotopes of uranium. This further confirms the creation of some of these microparticles from the fuel itself. Uranium poses a particular concern due to the extremely long half lives involved. In the case of the microparticles that contained Strontium 90, the isotope would normally move with water in the environment. Due to the insolubility of the microparticles, the strontium 90 stays in the top soils. Studies on microparticles predominantly carrying radioactive cesiums showed that the radioactive substances did not migrate through the environment as expected. Microparticles were found in road gutters, sediment that collected in parking lots, below downspouts and similar places where sediments could concentrate. These initial discoveries hint at how the microparticles could migrate through the environment. The findings of the 2017 Kaltofen study indicate that microparticles can persist years later, even in places that were decontaminated. This may be due to the natural processes that have caused many areas to recontaminate after being cleaned up. There has been no effort to clean up forest areas in Japan. Doing so was found to be extremely difficult. The forest runoff may be one method of recontamination. The subject of hot particles and the risk that they might pose to human or animal health has been controversial in recent years. Some studies found increased risks, others claimed a lesser risk from these substances. One study we reviewed may have discovered the nuances of when these substances are more damaging. Most studies on hot particles aimed to determine if they were more damaging than that of a uniform radiation exposure to the same body part. A 1988 study by Hoffman et. al. found that hot particle damage varied by the radiation level of the particle, distance to nearby cells and the movement of the particle within the tissue. A high radiation particle might kill all the nearby cells but cause transformation in cells further away. Those dead cells near the hot particle would stimulate the transformed cells to reproduce faster to replace the dead cells. A hot particle of moderate radiation would cause more transformations than cell death of nearby cells. High radiation hot particles that moved around in the organ, in this case the lung, would cause the most transformations. These acted like multiple moderate radiation hot particles transforming cells as they moved around. Those transformations are what can turn into cancers. This study’s findings appear to explain the results found in other studies where fewer cancers were found than they expected in certain groups. A veteran who was exposed during US atomic testing had experience over 300 basal cell carcinomas. The study concluded that the skin cancers in atomic veterans could be induced by their radiation exposure. Continued exposure to ultraviolet radiation then promoted those cancers. Other studies found damage in animal models. A study of hot particles on pig skin showed roughly half of the exposures caused small skin lesions. Two in the higher exposure group caused infections, one of these resulted in a systemic infection. A mouse study where hot particles were implanted into the skin found increased cancers of the skin. Workers at Fukushima Daiichi in the group with some of the highest radiation exposures were discovered to have these insoluble microparticles lodged in their lungs. When the workers radiation levels didn’t decrease as expected, further tests were done. Scans found the bulk of the worker’s body contamination was in their lungs. The lung contamination persisted on subsequent scans. The looming concern is that these microparticles in the lungs can not be ejected by the body. The US NRC issued an information notice related to a series of hot particle exposures at nuclear plants where workers were exposed beyond legal limits. Damaged fuel was the source in all cases. Even improperly laundered protective clothing was found to be a risk factor. Contaminated clothing from one facility could make it through the laundry process with a hot particle undetected on bulk scans of finished laundry. This would then result in an exposure to a different worker at a different plant who donned the contaminated gear. The hot particles when in contact with skin can give a high dose rate. Plants with even small fuel assembly leaks saw significant increases in worker exposure levels. These problems are thought to only occur in high dose exposures from hot particles. One worker in the review had an estimated 512 rem radiation exposure from a hot particle. Workers at US nuclear power plants are subjected to strict screening programs when they exit or return to work. This increases the chance of detecting and removing a hot particle before it can do more damage. This also lessens the potential for one to leave the plant site. The general public exposed to a nuclear plant disaster does not receive this level of scrutiny. Soon after the reactor explosions ripped through Fukushima Daiichi, people in the region began complaining of nosebleeds and flu like symptoms. These eventually began being reported as far south as Chiba and Tokyo. The government responded that these complaints were “hysteria” or people trying to scare others. These problems were so widespread and coming from diverse people it had seemed to be a significant sign in the events that unfolded. On March 21, 2011 there was rain in Tokyo that may have washed out contamination still being ejected at the plant. 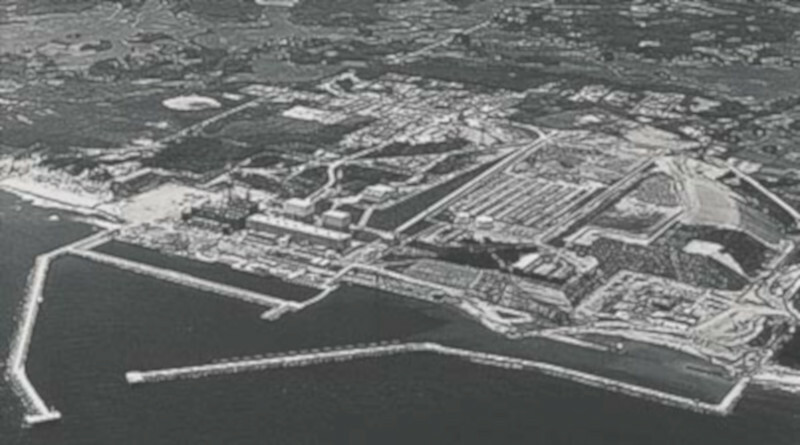 Events at Daiichi between March 17-21 caused increased radiation releases. In 2013 there was an unusual uptick in complaints about severe nosebleeds. This happened at the time typhoon Man-yi made landfall in Tokyo. The bulk of the people who responded to a survey by a foreign policy expert working in the office of a member of Japan’s Diet were from the Kanto region (Tokyo) where the typhoon made landfall. Children in the Fukushima region that were found to have thyroid problems also complained of frequent nosebleeds and skin rashes. People have described unusual ongoing health problems such as this woman in Minami Soma near Fukushima Daiichi who had odd rashes, a rapid loss of teeth etc. Cattle housed 14 km from the disaster site have shown with white spots all over their hides, something previously seen after US nuclear tests. 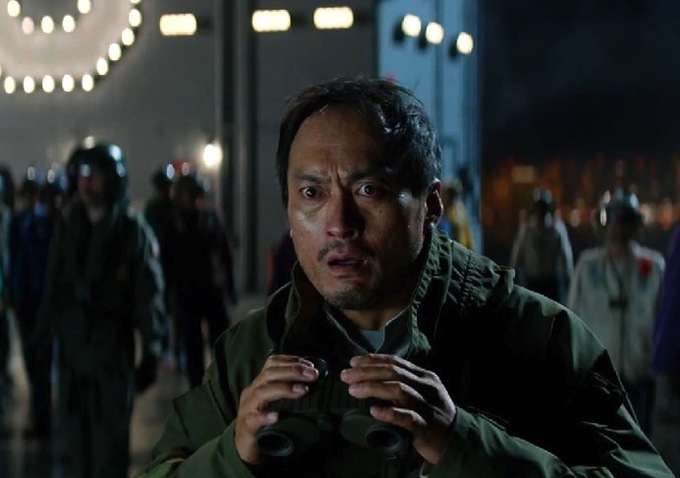 The USS Reagan was offshore of Fukushima Daiichi March 11 to 14th. Plume maps for iodine 131 (a gaseous release from the meltdowns) blew in the wind north and at times east out to sea during those dates. These same winds could have carried microparticles out to sea. A number of sailors on the Reagan and those working with the rescue helicopters have fallen ill. Eight have died since the disaster. This newer account of the events on the Reagan raise even more concerns about what happened to those trying to save people after the tsunami. Namie Mayor, Tamotsu Baba resigned his office in June 2018 after a year of off and on hospitalization. He had been undergoing treatment for gastric cancer. He died a few weeks after resigning. His cancer may have predated the disaster, but in the last year his health drastically declined. Namie is in the area of some of the highest fallout from the disaster. Fukushima plant manager Masao Yoshida died of esophageal cancer in 2013. TEPCO insisted his cancer was not related to the disaster due to the rapid onset. This is a common claim around cancers that could be tied to Fukushima, yet the number of cancers soon after the disaster has been hard to ignore. As we neared completion of this report the labor ministry announced that the lung cancer death of a Fukushima Daiichi worker was tied to his work during the disaster. The worker was at the plant during the early months of the disaster and worked there until 2015. TEPCO didn’t give specifics of his work role, only mentioning he took radiation levels. TEPCO mentioned that the worker wore a “full face mask respirator” during his work. All of the workers at Daiichi wore the same after ordered to do so after meltdowns were underway. The worker was not among the highest exposure bracket so he may not have been receiving detailed health monitoring. 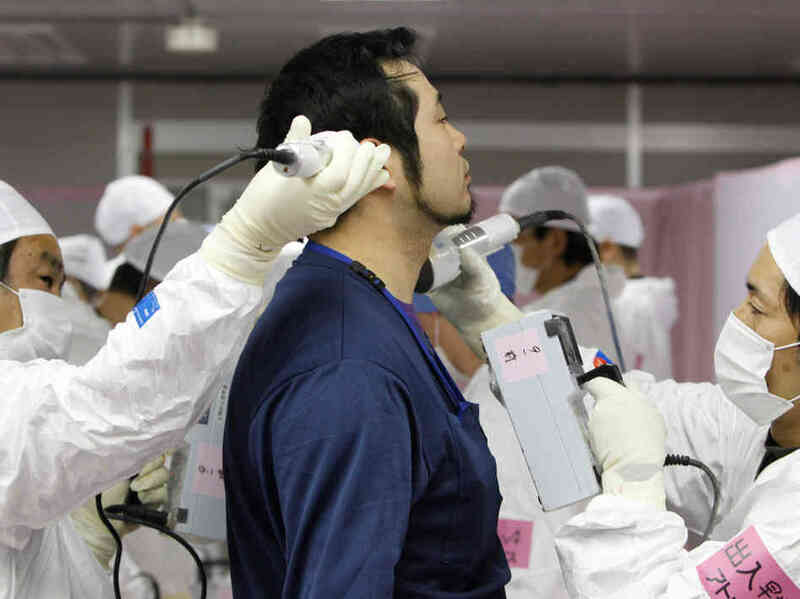 Radiation exposure monitoring during the early months of the disaster was inconsistent and sometimes missed exposures. Highly radioactive microparticles were released to the environment during the meltdowns, explosions and subsequent processes in units 1-3 at Fukushima Daiichi. Microparticles have been found near the disaster site, in the evacuation zone, far outside of the evacuation zone and south into the Tokyo region. These substances persist in the environment and have been found in areas previously decontaminated. These microparticles significantly change the exposure estimates for the general public. Individual exposures can not be accurately estimated by the use of generic environmental radiation levels as this does not account for the individual’s exposure to microparticles. Microparticle exposure has multiple variables that create a unique level of risk to the exposed human or animal. They can in the right circumstances cause significant damage to nearby tissues, persist in the body, cause damage, initiate or promote a cancer. Microparticle exposures may be the missing puzzle piece that explains a number of odd problems tied to the Fukushima disaster. Health problems that showed up soon after the disaster. Exposed populations with aggressive or sudden cancers and other serious health problems that can be created or exacerbated by radiation exposure. Microparticles continue to pose a public health risk in some parts of Japan that experienced fallout and increased radiation levels due to the disaster. Additional SimplyInfo.org reports on the microparticle issue are forthcoming.